Cooking in the Crock-pot is so easy and convenient. Today’s recipe, Sweet and Sour Pork Tenderloin, takes less then 5 minutes to prepare, and after 6 hours of cooking, you have delicious tender meat your family will love. It’s the perfect recipe for a week night, and since it’s so quick to prepare, you’ll have no trouble putting everything together in the morning before work. Place you pork tenderloins in the slow cooker. In a medium bowl, mix together all the other ingredients. Poor in slow cooker over the pork tenderloins. Cook at low for 6 hours. This is such a simple, easy, quick recipe, and so delicious! The pork is really tender and the sweet and sour taste is just amazing! If you don’t own a Crock-pot, you definitely need to get one. This is probably the best kitchen tool you can have. You can make amazing recipes in no time. It’s ideal when you have a family to cook for, and is really practical in other occasions like potlucks. I know I couldn’t live without my Crock-pot! This sounds delicious! I am always looking for a good crockpot recipe! 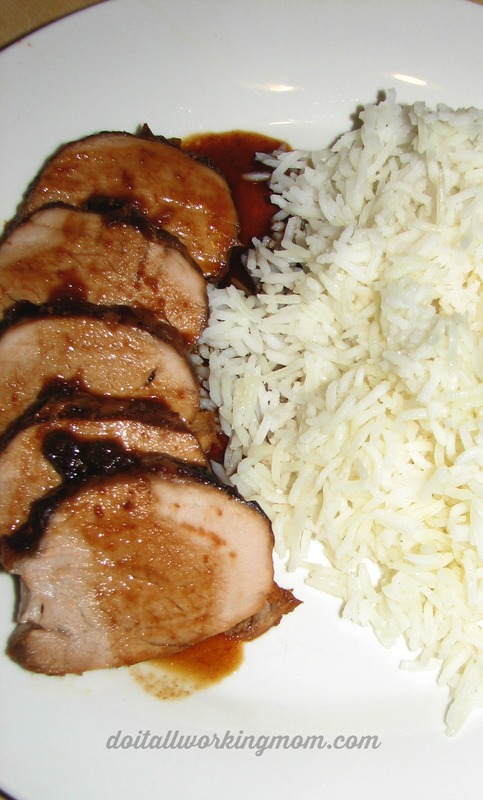 We also like to cook pork tenderloin with a can of rootbeer. Drain the rootbeer after 6 hours on low and shred meat. Add BBQ sauce. Heat and serve on buns. That must be really good. Similar to pulled pork. Looks great. Love all the crock pot recipes. They really are a time saver. Oh yes they are! So quick and easy. Oh wow that looks amazing! My dad loves pork loins and I’ve wanting to try some new recipes. I might have to give this one a try. It’s totally worth the try, you dad will love it! We are always looking for different ways to prepare pork…thanks! Yes we are and this is different ant delicious! 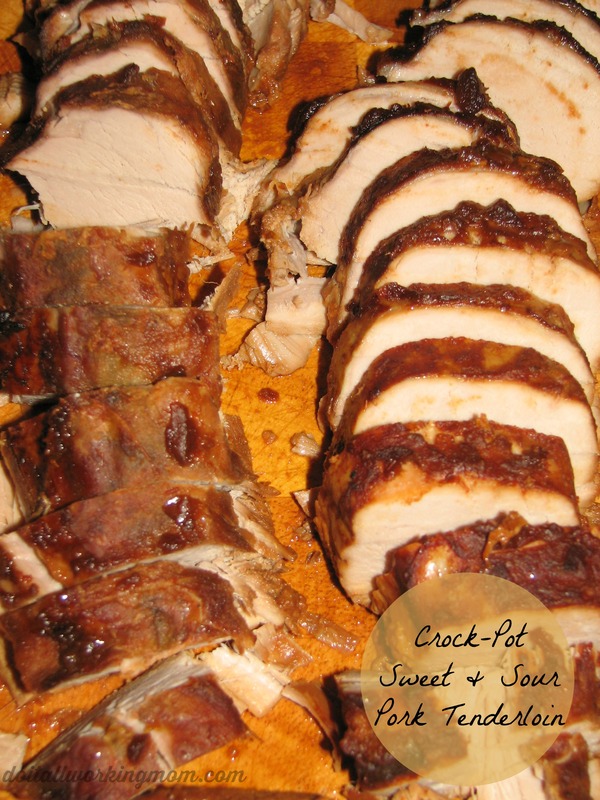 I love sweet sour pork…thank you for sharing! This would make a delicious dinner after a long day at work! This sounds very good and one I will have to try for my family. I like even better because it is cooked in the crock pot! Easy and delicious! Your family will love it! I know I have a pork tenderloin in my freezer. Have to make this. Thanks. This looks delicious! Thank you for joining in with the Frugal Family Linky! Thanks! It is really good and so easy to make. Thank you for linking up with last weeks’s Frugal Family LInky! You have been featured on this week’s post via Witty Hoots! Hope to see you linking up again soon! Oh, this is great! Thanks you so much, will stop by again for sure!